I shall freely admit: I’m not much of a PC gamer. I own a handful of titles on the Steam service courtesy of several Humble Indie Bundles or unbelievable sales, but I haven’t really played many of them for long periods of time. My personal computer is not up to snuff, and I’m too jaded / lazy / poor to try improving its performance at all. That said, when I heard Mutant Mudds was headed to the PC with twenty new levels and a handful of exclusive features, it piqued my interest. I am absolutely enamored with the game on 3DS, so it was worth experiencing again if only to show my support for Jools Watsham and Renegade Kid. But, when push comes to shove, it is the same game many have already played. And with the recent announcement that the levels currently exclusive to the PC version of the game will be available for free on 3DS in due time, the two are becoming even more identical. This review probably won’t convince you to buy two versions of the same game, but it will offer a series of strengths and weaknesses one version has over the other. I’d like to clear up a common misconception about how the game runs. The game will not run slow if you use the proper settings. My PC, which meets the qualifications established by Renegade Kid (surprisingly enough), was able to run Mutant Mudds with ease. I tested the game in multiple views and even had four or five other windows open. After I made the proper setting changes as suggested on the game’s “Support” site, the game never ran slow, never broke, and never crashed. I hope the people experiencing issues were able to solve them… the number one most googled word after “Mutant Mudds PC” is “slow”. I cannot stress enough that this port is virtually flawless. Audio, visuals, gameplay, physics—it’s all the same as its 3DS counterpart. The game offers a wide array of control options that are fully customizable (including mouse, 360 controller input, and keyboard controls), so I went with what’s best for me. You’ll notice a few changes made to the game’s hub world right away. 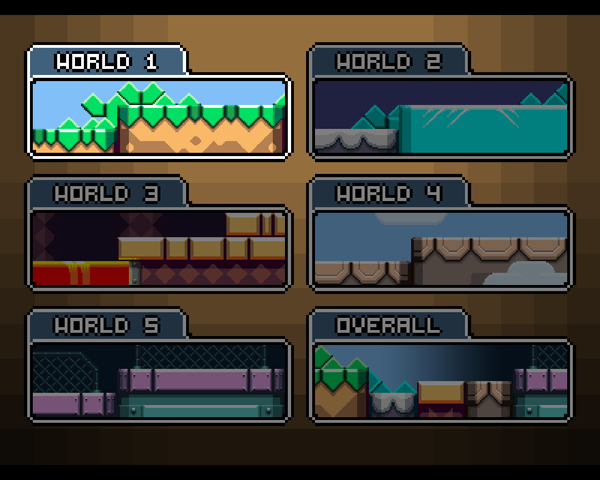 First and foremost, the Leaderboards room has been added, which I’ll elaborate on in just a moment. 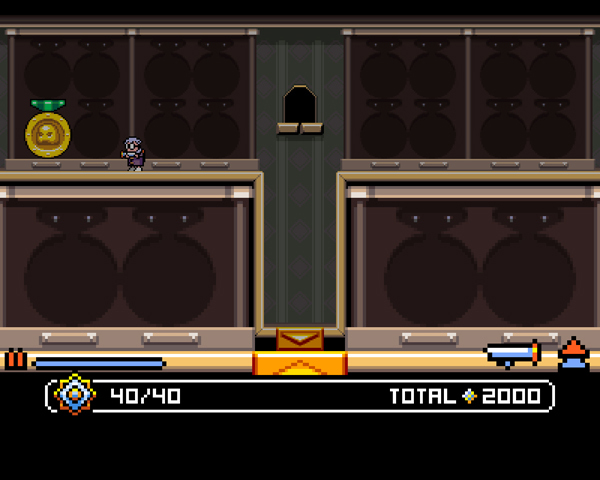 And second: that golden door indicates that I have cleared the “Grannie” stage within that particular level. I’m hoping to eventually fill the hub world with golden doors on both PC and 3DS, but trust me—it’s no easy task. One of the most significant changes to the core gameplay is the fact that levels are not timed in this version of the game. In order to accommodate leaderboards, the game counts up as opposed to down, keeping track of the time it takes for you to complete each level. This is a welcome change, in my opinion. 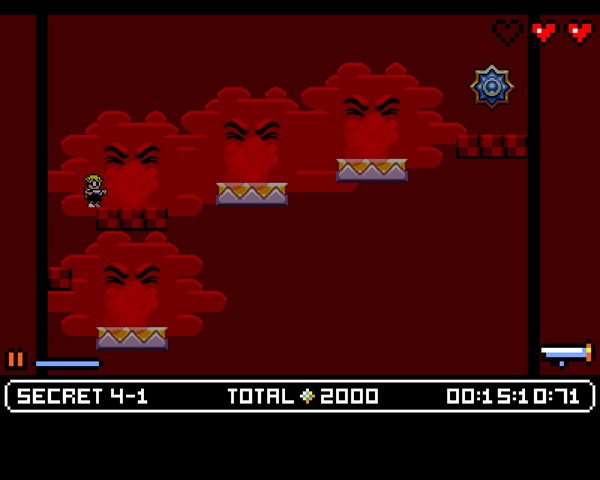 It’s nice to be able to take all the time I need to conquer Renegade Kid’s more…merciless levels. This is definitely NOT a time I’m proud of. Cloud surfing is not my thing. 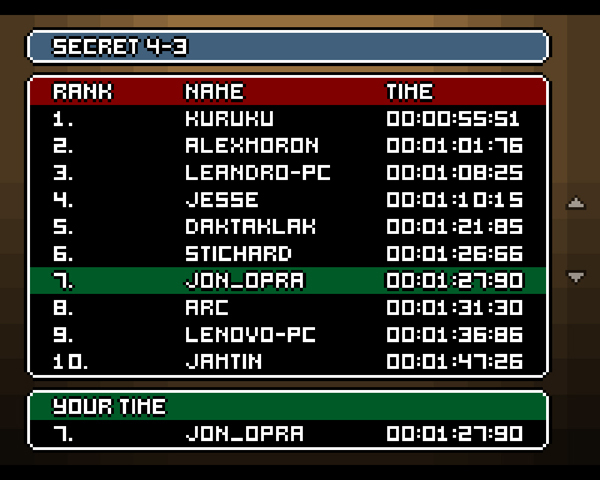 The leaderboards themselves are well organized. The game keeps time for individual level (the 20 main levels, 20 “secret” levels, and 20 “Grannie” levels), as well as your total time for every level once you’ve completed the entire game. The game keeps track of where you rank, even if it’s not in the Top 10. For speed-run enthusiasts, I’d say the PC version would be the definitive Mutant Mudds experience for you. Watsham has said leaderboards are not coming to the 3DS version, at least for now. So this is definitely a strength the PC version has over the original. 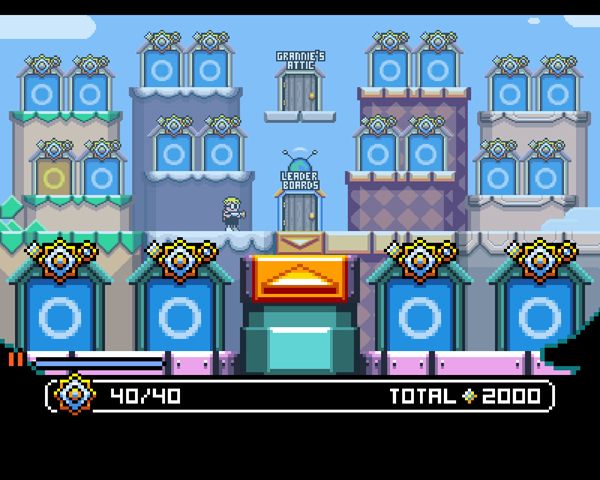 Collecting everything in the 3DS Mutant Mudds was no small feat, and took me 19 hours of mastery. I was determined to do it again in order to experience the “Grannie” levels for this review. That’s right—the new content is like a daggling carrot at the end of the game for mastering its old content! Alas, I accomplished my goal, but that’s why you’re not seeing this review until quite a bit later than I’d originally anticipated. These extra levels were worth the effort to play, and if you’re waiting for them to come to 3DS first, they are worth getting excited for. I can’t say if I have a favorite in particular, but unlike a certain mustached plumber, I feel as though there’s a charm to each level (new and old) that competes with console and PC contemporaries like Super Meat Boy or Rayman Origins. As far as I know, there is no reward offered for completing all of the bonus content, but unlike grinding for a million coins, I truly do feel as though “the journey is the reward”. These folks in Mario cram school should take a lesson from the little guy(s)! 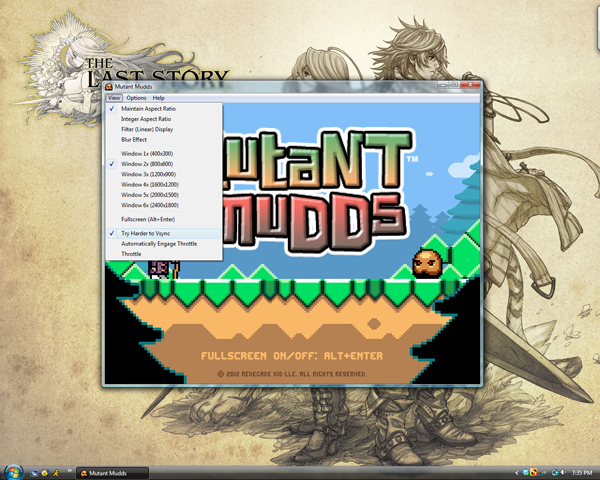 The PC port of Mutant Mudds has clearly been treated with love and care. It’s something Renegade Kid can be proud of, and I hope it leads to more exposure / continued success for them. I cannot honestly recommend owning both versions of the game because of how similar they truly are, but… if you have yet to lend a hand in helping to fight the Mudd invasion—you have no excuse, at this point. The PC version is worth playing for those who prefer playing on the big screen with leaderboards, and the 3DS version is there for the gamers on the go. The PC version of the game is available at the special price of $7.99, but today is the last day it will be available for that price. Effective tomorrow, the game will be available at $9.99.